7th-9th costal cartilages enters into contact with 1 another and articulate with every other by number of small synovial joints in Interchondral joint. At some instances, they’re also connected by ligaments. 9th and 10th costal cartilages union is usually ligamentous. 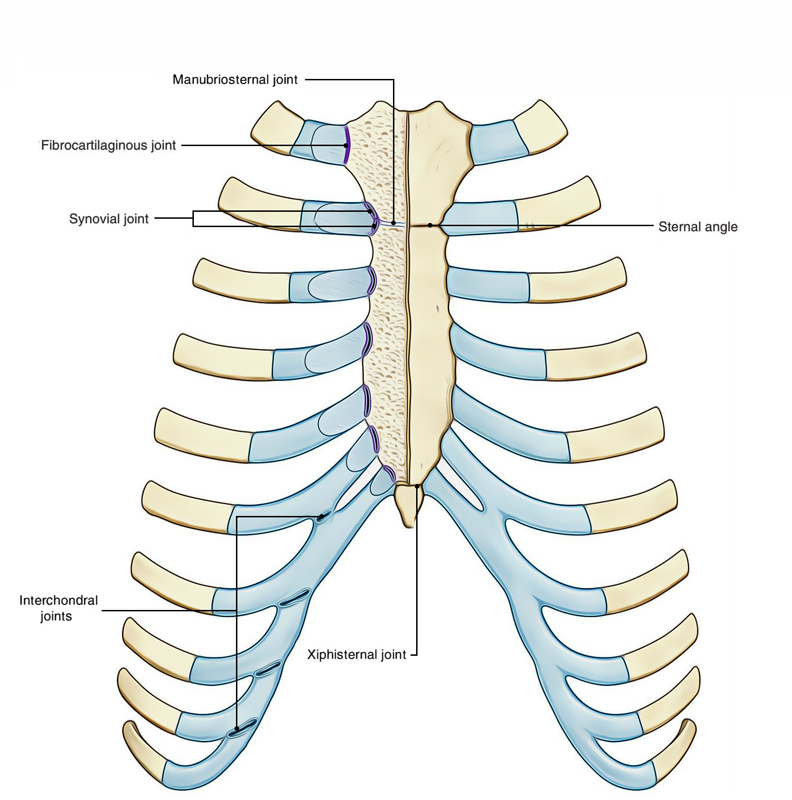 The manubriosternal joint is composed between the lower end of the manubrium sterni and upper end of the body of sternum. It’s a secondary cartilaginous joint (symphysis) between manubrium and body of sternum. It allows minimal slipping movements of body of sternum on the manubrium during respiration. The manubriosternal joint isn’t an average symphysis because as a rule bones taking part in the formation of a symphysis don’t go through bony union, but in many people after 30 years of age bony union does take place between the manubrium and the body of sternum.